The NHL will serve and support public health programs with the aim of prioritizing population-based disease control efforts. It will support and serve a range of public health programs, including (but not limited to) communicable disease surveillance and testing, water supply safety and monitoring, environmental testing, and the support of public health food safety by providing food microbiology services including investigation of food-borne diseases. The NHL will act as a center of excellence and referral for specialist testing. It will deliver a state of the art analytical, testing, research and reference laboratory that underpins public health services across Qatar. 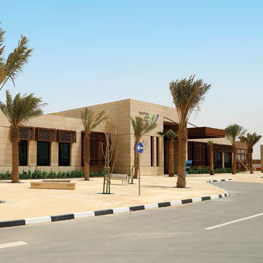 The NHL building is located within Zone 56 within Mesaimeer District under the Al Rayyan Municipality city limits. The project is to be a two storey laboratoty facility building plus basement and technical floor, with a distinct architectural character in order to contribute to the overall design intention of Doha to become a sustainable environment. As such the facility has been designed to attain a 3* GSAS rating. • Identification and demarcation of existing below ground services. • Site Clearance of all Rubbish & Debris from site (site currently unoccupied and clear of any structures). • Ground Remediation (if required). • Construction of main Laboratory building and all associated services and structures. 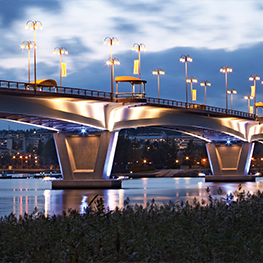 • Construction of basement parking structure and associated services and structures. • Construction of other support areas such as security kiosks, sub-station etc. • New perimeter structure and access gates. • New landscaping throughout the site including parking, roads, planting, soft scape and hardscape etc. 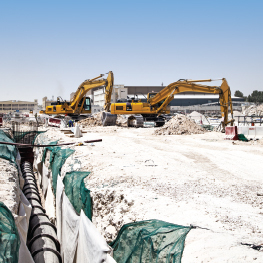 - Foul sewerage excavation, main hole construction, bedding pipe laying, backflling branch and connection. 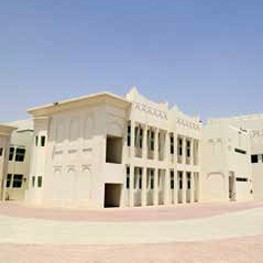 ASTC in final stages of construction of three schools at different locations in Qatar. 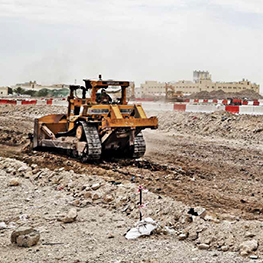 Al Sraiya Trading & Contracting has initiated phase 1 of the QR 1.2 billion LRDP Local Roads & Drainage Program Mobilization and startup of the de-watering, micro tunneling, road works, and removing of debris and deserted equipment and vehicles at the industrial area. • 34 km of roadwork, including removal of existing pavement, excavation and embankment, and pavement construction. • Site clearance, removing abandoned vehicles and other heavy and light discarded material including disposal of any contaminated material with the roads right-of-way. On the ground floor and ancillary building incorporating a mosque, garage, guardhouse and watchman. The construction method is generally of reinforced concrete structure and block work with all associated finishes, services and ex-ternal works including boundary wall, gates, paving works and bitumen work including car parking and all associated soft and hard landscaping etc. 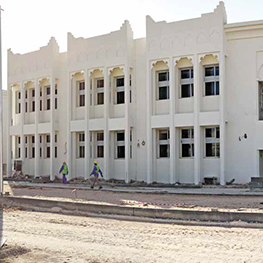 Al Sraiya Trading and Contracting has announced its recent uptake on a governmental project, involving the construction of 3 schools. The project is due to satisfy the growing demand of primary and secondary educational institutions, to accommodate the growing population of the local community. Al Sraiya has continuously been taking on projects that support Qatar and its National Vision 2030. 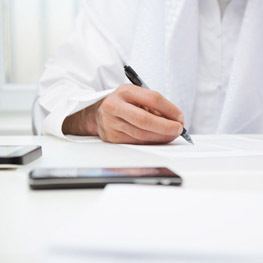 Having built its reputation as an all in one shop for construction needs, clients have become accustomed to Al Sraiya companies as main contractors, sub-contractors, and suppliers, and has become increasingly involved in both the construction and the contracting field. 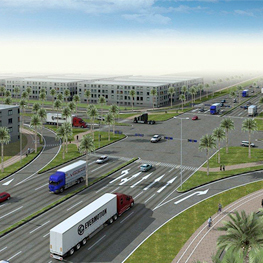 The project has commenced at the start of the 2015, and is expected to be completed by mid-2016. The schools include a girl’s school, a boys’ school as well as a Secondary boy’s school. 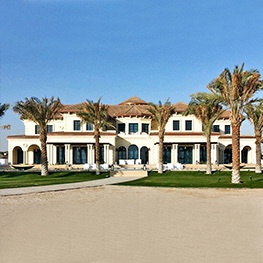 Al Sraiya Contracting has completed its construction of a luxurious villa, located near the Intercontinental Hotel premises. Intended as an extension to the hotel, the two storied villa was completed in a record-breaking two years, including excavation, superstructure and substructure concrete works, block works, roofing, carpentry, metal works and more. The villa is only a mere example of the efficiency ASTC provides in completing its projects as it has the required resources to organize and execute projects in a timely manner. 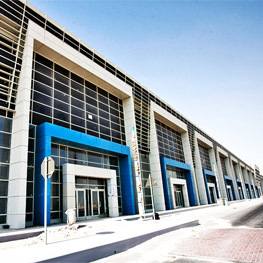 Al Sraiya Contracting is pleased to announce the completion of a Barwa Commercial Building. Consisting of four floors, including the basement, the building is unique due to its 1.1 km in length. Finalizing the project in a short 3 years and located at Barwa Commercial Avenue, the building is already being used for commercial use.